Through its “212 Gives Back” campaign, 212 Media Studios supports local nonprofits during the Christmas season. The 212 Gives Back campaign facilitates an opportunity for all of us to make a difference! Each December, employees at 212 Media Studios receive a second Christmas bonus—but not for their personal benefit. Instead, they are encouraged to donate the extra money to local nonprofits of their choice. “Our team is very diverse, and with that comes passion for different causes and people,” says Chief Marketing Officer David Phelps. 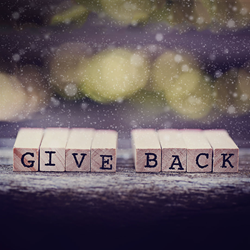 “The 212 Gives Back campaign facilitates an opportunity for all of us to make a difference for causes we’re passionate about.” Rather than 212 Media Studios donating to one place in the community, multiple nonprofits will benefit from this Christmas campaign. Throughout December, each employee’s choice will be featured on the 212 Media Studios blog, with an explanation of the nonprofit’s mission and work. Follow 212 Media Studios on Facebook to learn more about the recipients of this year’s 212 Gives Back campaign as they are announced.